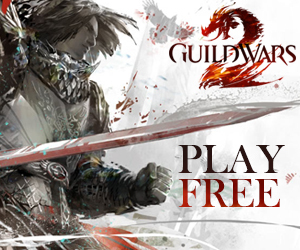 ArenaNet’s Ben Miller has a post up about the philosophy of designing Guild Wars 2. He shares several golden rules ArenaNet strive to hold themselves to. I list this one first, as it’s probably the principle that is most integrated into everything we design into Guild Wars 2—we are making an online world after all. It basically means that the world of Tyria acts as a metaphor for a real world with its own self-enforcing rules. In terms of story and lore, we had to establish things like geopolitical dynamics. There are nations, and those nations have relationships with each other. Those relationships are based on history, on the personalities of individual leaders, on geographical realities. In our environment design we add caves for creatures to live in and nests for things to lay eggs in. We establish some semblance of an ecosystem by the choices of creatures we place in certain areas and how they biologically relate to one another. Then, so players get a sense for all this, we have events where you get to interact with those nests, and quests that allow you to explore the impact of those geopolitical conflicts through the plot of your personal story. Purpose: It’s a litmus test we use to determine if something doesn’t feel right in the world of Tyria. Normally, it’s used with content or story. It provides the foundation and starting point for characters, plots, and environments. It’s a humble post, open and straightforward. 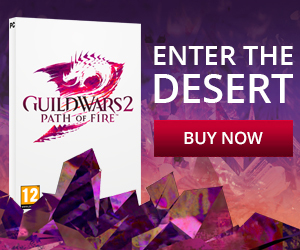 While he insists there’s no special trick or hidden secret—just hard work, fun, and good design philosophy—ArenaNet sure does make it look easy don’t they? Previous: Final Beta Weekend Event: 20-22 july!